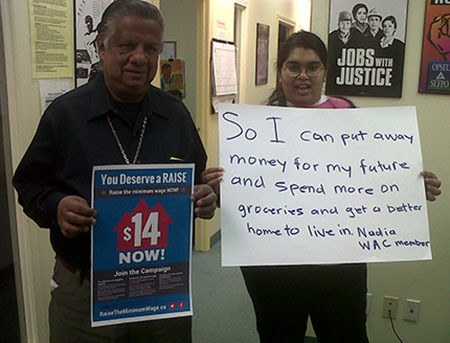 On January 14th, WAC joined with the Campaign to Raise the Minimum Wage to call for a $14 minimum wage for a healthy Ontario. 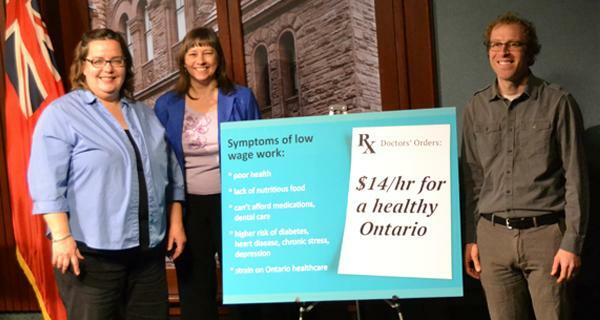 This month, health providers hosted a press conference at Queen’s Park and urged the government to improve health and well being in Ontario by raising the minimum wage to $14. At the press conference Dr. Gary Bloch, a family physician at St. Michael’s hospital, Lorraine Telford, a registered nurse, and Axelle Janczur of Access Alliance Community Health Centre spoke about what many workers across Ontario know all too well – low wages affect our health and well-being. WAC members spoke out in many media features about the impact of low wages on their health and why they are fighting for a $14 minimum wage. WAC member Acsana and Christian both shared powerful stories in a 90 minute feature on the minimum wage on CBC The Current, while WAC member Esther, was interviewed by the Toronto Star. An opinion piece by Toronto Star columnist Bob Hepburn goes even further and supports our call for a $14 minimum wage! Check out the Campaign to Raise the Minimum Wage to see updates from around the province and the extensive media coverage. 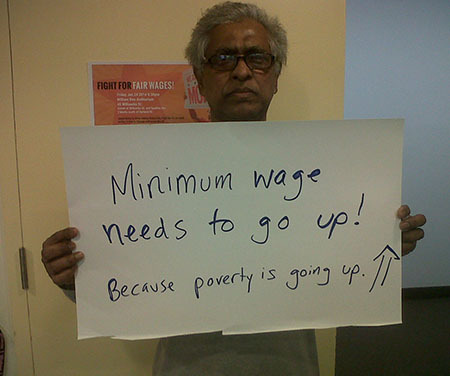 We joined the province-wide call in day to Premier Kathleen Wynne asking her to raise the minimum wage to $14 now! WAC members worked the phones all afternoon on Jan. 14th – calling the premier and their MPPs, then asking friends and family members to do the same. Joining others across Ontario, we posted pictures online encouraging others to make their calls! 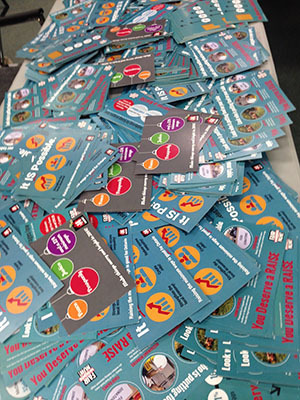 On Jan. 14th, we also delivered some of the thousands of postcards that have been collected and sent in from across Ontario calling for a $14 minimum wage. That’s a lot of postcards! We are really excited to be part of the Fight for Fair Wages forum taking place next Friday Jan. 24th. The Campaign to Raise the Minimum Wage is hosting a public forum in Toronto with organizers leading the fight for fair wages in the US! Speakers at the forum include leaders from Fight for 15, who are coordinating retail workers strikes in Chicago and Sterling Harders, from Working Washington, who will share the amazing victory of a $15 minimum wage for in the Seattle suburb of SeaTac. In addition to these amazing speakers, there will be music from the Samba Squad and DJ No Capitalista, with spoken word from Ritalin. Join us on Jan. 24th! William Doo Auditorum, 45 Willcocks St.
Join the fight for a $14 minimum wage!